The dog park can be a great place for your dog to run around without a leash, but it’s not for everyone. You may decide not to go to dog parks because your local dog parks are full of wild dogs with inattentive owners. Or, your dog might act unpredictably around dogs they do not know. I recently discovered a dog park in my area, but I won’t be taking Matilda and Cow. It’s always packed with medium-to-large dogs, and I don’t think the park is big enough for my dogs to feel as though they can avoid interactions if they feel threatened. Besides, Matilda is so small, the risk of her getting injured is not worth it. 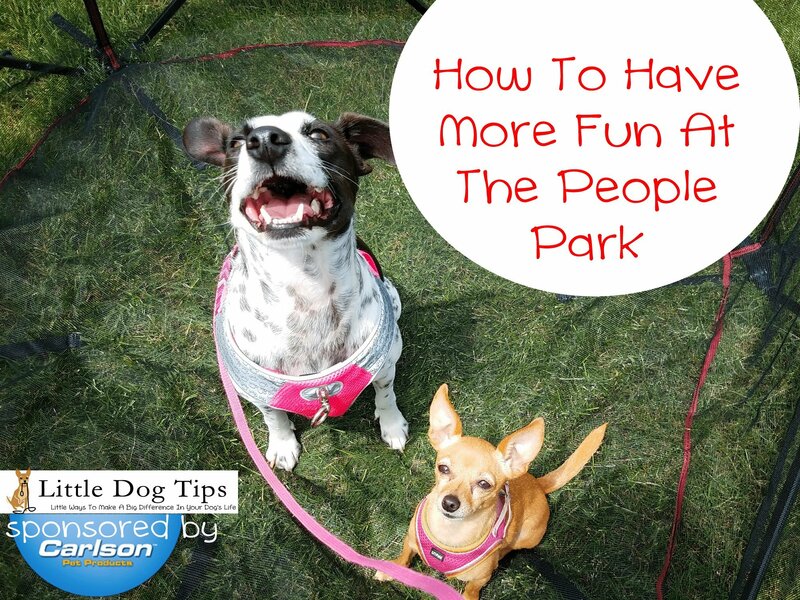 When you can’t go to the dog park, you’ll have to settle for the “people” park. It’s normally not as fun for your dog because they have to wear a leash. 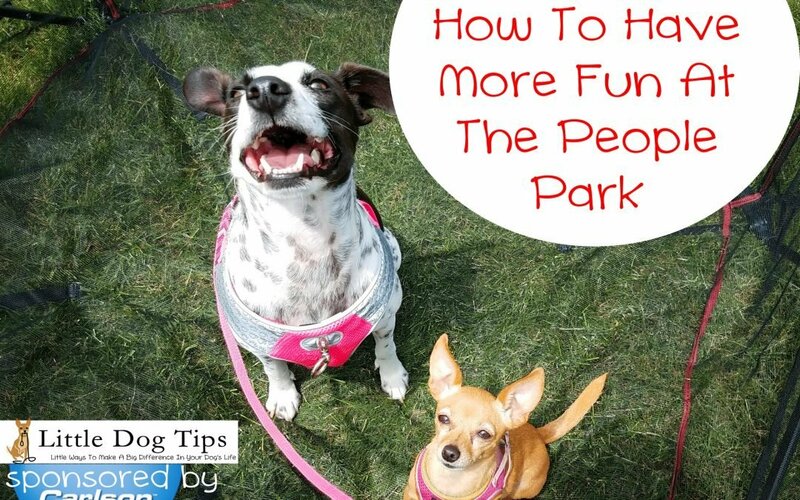 Even so, I’ve discovered a few ways to make “people” parks just as fun as a dog park. This post is sponsored by Carlson Pet. I was compensated and received the pictured pen in exchange for a feature – though I only collaborate with brands that I love and recommend! Thanks for your support. 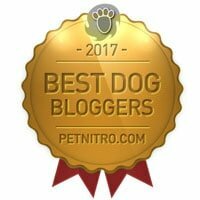 Give your dog some freedom! The problem with leashed walks around the perimeter of the park is, well, most dogs are faster than their humans. They like to stop short to sniff interesting scents. That pattern of running, running, STOP, sniff, run – it just doesn’t work with a normal leash. I use a 25 foot long line so my dogs to race ahead and freely sniff. I do own two long lines, but when I use one for each dog, they just end up getting tangled. So, I clip both leashes to a single long line. Matilda and Cow stick together, so they don’t seem to mind. There is some concern when clipping a larger dog to a smaller one – the large dog could drag the smaller one around – but as for Matilda and Cow, their size difference is just moderate enough that this doesn’t happen. When using a long line, always keep plenty of distance from other people. We roam in wide, grassy areas outside of peak hours, and I gather up the leash if we’re getting close to another person or dog. 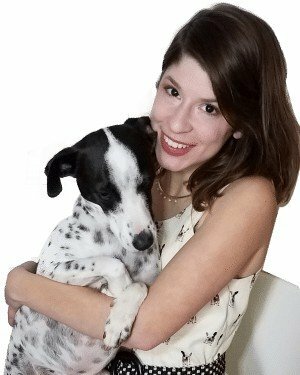 Another precaution: it’s more difficult to keep your dog from eating random stuff. Matilda was far away when she started eating some strange poop, and it took me a few moments to get to her, so she had gorged on quite a bit. The upside: you can work on recall easily this way. If you stick close to your notorious poop eater and call them away when they look like they’re eating something, they’ll probably be okay. Normally, when I take my dogs to the park, the trip is brief. There’s no park benches specially made for dogs, and mine don’t like to lay in the grass, so there’s nowhere to take a break. So I usually take them home as soon as they start to get tired. When I’m dog-less at the park, I have more freedom to sit, watch the water if the park has a lake, and just relax. This time, I was trying out the Carlson Portable Pet Pen. So, at the end of our walk, we went over to the car, and I set up the pen in a grassy area. The dogs hung out while I sat on a bench. The pen is great for picnics and parties. It’s so much easier to relax, eat and enjoy your day without a leash constantly wrapped around your arm. Needless to say, you should never leave your dog unattended in public in the pen. Anyone could reach in and steal your dog. Depending on the size and determination of your dog, they might be able to escape. Used indoors, the pen could be used like a crate. The pen is for small to medium dogs, and Cow is medium at 29 pounds. If I left her, she’d freak out, and with enough determination, she’d be able to jump out. It is surprisingly sturdy enough that she would not be able to tip it over, though. 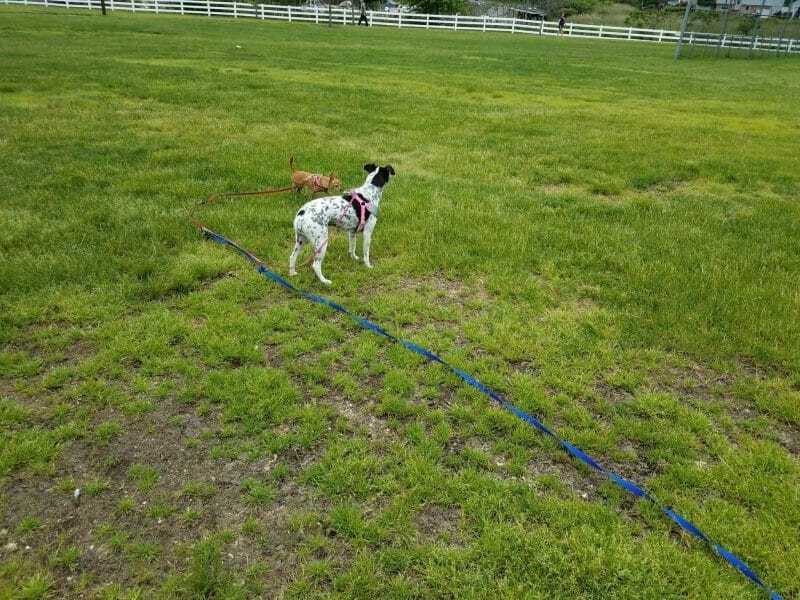 I tied her leash to the pen as a precaution, but as long as she can see me, she won’t try to escape. In fact, after just a few minutes in the pen for the first time, she laid down and relaxed. Like many Carlson Pet products, the pen has a tiny, Matilda-sized door that you have to unzip. It’s cute, but it’s more convenient for me to just lift her in and out. Of course, I scattered treats in the bottom of the pen to reward the dogs for good behavior. I also gave them water while they relaxed in it. It’d be fun to let the dogs play with a puzzle toy or treat ball if I were having a picnic. The girls loved to look through the mesh and watch over the entire park from the safety of their pen. It’s going to be fun to bring it on many more park outings! Shop the Carlson Pet Products Online Store For Your Own Portable Pet Pen! Lindsay, I never thought about brining a playpen to the “people” park, but it makes so much sense. Thanks for the idea. Love this! My dog Maggie never enjoyed the bark park. She was always too nervous around the bigger (often aggressive) dogs. So we took her to human parks all the time. We actually had a park nearby with a community softball field that was completely fenced in. During non-peak hours we’d take her there, close the gates, and play fetch. It was one of the few ways we could allow her the freedom to run wild without the possibility of a bad encounter with another dog. That was pretty lucky for us though. I love the idea of the extra long lead for controlled fun. Thanks for the post! Whenever I took Aggy to any people park, I open her ribbon and make her free. You know, she enjoys the whole time there. She makes jumping, running and all the things she likes. But I keep her in my eyes so that she can avoid an accident. She enjoys her freedom in the people park a lot.